Choose from a chunky knit Aran jumper or Aran cardigan to keep warm this winter. Made in the UK, the quality can be assured. 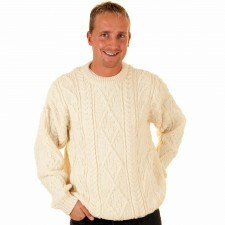 Available from Size S - XXL, explore our range of quality Aran Jumpers, Sweaters and Cardigans for him. 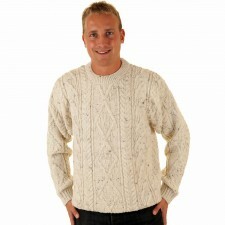 Look great and stay incredibly warm in cold weather with Aran jumpers from Gretna Green.